Welcome to our links Section, here is a list of websites that are affiliated with or pertain to BigChuckandLilJohn.com that we think you'd find interesting. If you would like to add your own non-commercial website, contact us, send us a banner, and a link to us. If you are a commercialized site then contact us, and we can discuss affordable rates, or maybe a trade or deal. We also ask that you would in turn put our banner on your website. Click Here To Check Out Lil John's Jewelry Store! The largest, most dedicated website for the Canadian TV show from the 70s, The Hilarious House of Frightenstein. A website for reminiscing about Sea World, a theme park featuring aquatc animals, most notably Shamu, that was closed down. Son of Ghoul, 22 Years on the air in NE Ohio, and keeping Ghoulardi's spirit alive in Cleveland. 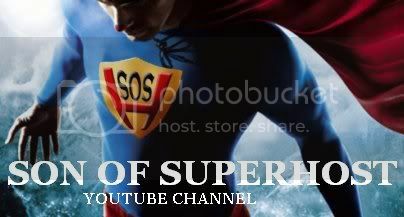 Jethropu, The Son of Superhost has classic Supes videos for you to view on Youtube, check it out. Cleveland Classic Media, a blog made by a member of our forums, TimL! The Full length Horrorhost movie starring all your Cleveland favorites. A great news source for all things horrorhosting. Copyright Bigchuckandliljohn.com 2005 All Rights Reserved. Designed By Cleveland Graphic And Website Design. Website hosted by Lake County Computer.